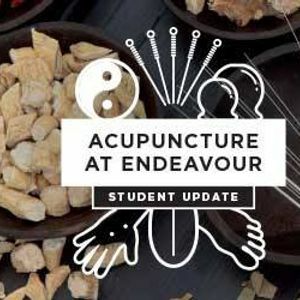 Join Debra Godson to learn more about the results and implications of a recent teaching intervention conducted at Endeavour college, aimed at improving the accuracy of acupuncture point location in first-year acupuncture students. The project compared accuracy and student attitudes when using an adjustable ruler to locate acupuncture points with the currently taught proportional method of acupuncture point location. Debra is a Senior Lecturer in Chinese Medicine at Endeavour College of Natural Health and has been lecturing in acupuncture for almost twenty years. Debra also holds postgraduate qualifications in Chinese Herbs, Integrative Medicine and Education. Debra is actively engaged in acupuncture research, sitting on the Endeavour Human Research and Ethics Committee (HREC) and is currently a peer reviewer for the World Health Organization (WHO). Debra has a special interest in improving Chinese Medicine education through research, and recently completed the Bachelor of Health Science (Honours) (Acupuncture) with her research project on acupuncture point location accuracy. Read the published article - Accuracy and Precision in Acupuncture Point Location: A Critical Systematic Review.